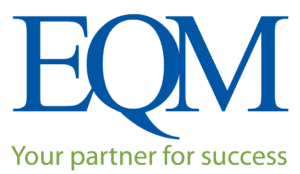 EQM Awarded $45 MM USACE New England District Contract - Environmental Quality Management, Inc.
On Friday May 18, 2018, The U.S. Army Corps of Engineers, New England District, awarded EQM a $45 MM IDIQ Remediation Services Contract for the Callahan Mine Superfund Site in Brooksville, Maine. Our first Task Order under this contract will be issued the week ending June 1st for over $6 MM and will be implemented in the field starting this year. The former Callahan Mine site was an open-pit mine developed in Goose Pond, a shallow tidal estuary of approximately 75 acres in the town of Brooksville, Maine. From 1968 through 1972, approximately five million tons of waste rock and 800,000 tons of ore-bearing rock were mined from the open pit. The waste rock was disposed of on site in three large piles and was also utilized to create a dam for the tailings impoundment. In summary, the major work elements are remediation of the tailings impoundment; remediation of waste rock pile #3; slope stabilization of the tailings impoundment; consolidation and capping of the tailings impoundment; sediment excavation and disposal in a confined aquatic disposal cell; remediation of residual contamination at waste rock pile #2 and the ore processing area; and site restoration, mitigation, and monitoring.